Are you looking for making an online store? Don’t know how to start? The last couple of years the eCommerce industry has shown us that anything can convert into a market - that makes income. Even those who want to transform from a physical store to a digital one, they will require to study more about the online store. eCommerce website designs need a proper study and analysis method. In an e-commerce website, you have to manage some primary factors. You can find about the newest trends, design models, and some practical opinion also. We present a professional eCommerce website template to create an e-commerce website. After all, eCommerce is a great business! Nowadays people spent billions of dollars in online sales each year. Each page is important like landing pages, product pages, contact, shopping cart pages in this business. An eCommerce website will pull buyers directly. 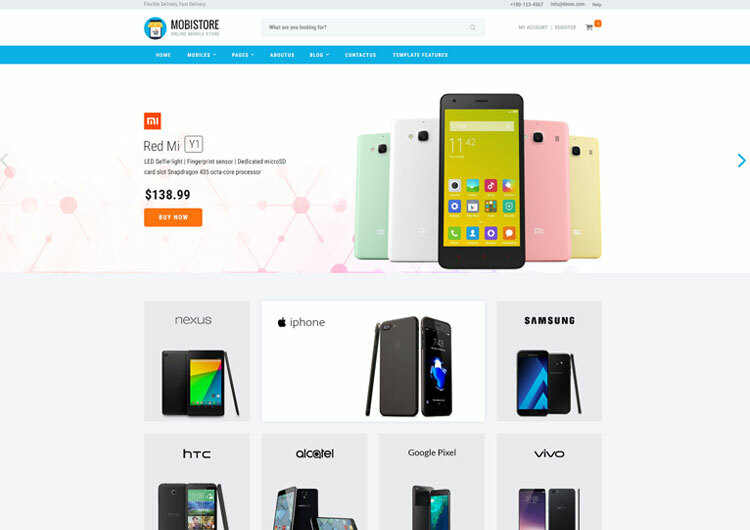 Here we present unique and outstanding eCommerce websites templates for your business. Each design has carefully decided. Shopping cart design variations, user-friendly navigation, search options & filters, informative product description pages - all included in these. Explore some professional, attractive eCommerce website templates to ease you create your online store. We hope our top eCommerce website template has helped you find the perfect eCommerce template for your business! We have made all themes cross-browser compatible and search engines friendly. You will enjoy the look and feel of each item for smooth and beautiful color schemes as well as high-quality design.